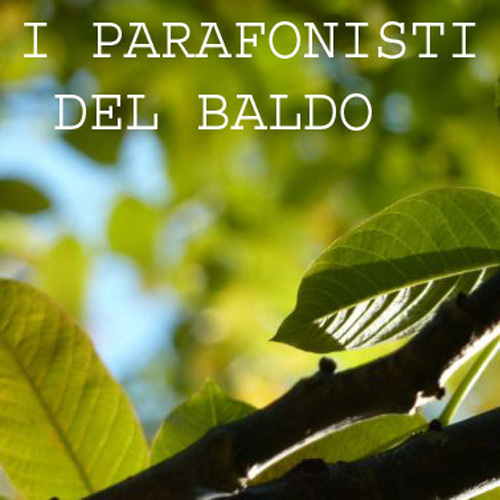 Parafonisti del Baldo is a modular music collective which bases its activity on two basic statements: the strict linking with its territory, Brentonico’s Plateau, which is situated in Trento’s Department, and a research attitude towards the theme and the music material faced. The collective’s name comes from the mixing of two terms: Parafonisti (para = next to and phone = voice) and Baldo (the geographical connotation). The first one historically refers to a specific section of Gregorian Choir singers who performed their singing simultaneously playing at a fifth or fourth interval distance from the main voice. This brings to the privileged relationship with the Choir dimension and to an idea of expressing a diverse voice around the themes treated. The term “Baldo” symbolizes instead the place of origin and action of the involved artists. The linking with the territory is here to be intended not only as the place of the collective members belonging but also as a space, a place, on which reflecting through a sound research: its artistic and cultural production, the working world and the environment peculiarities. The music research develops in a different way from time to time, trying to discover the possible perspectives to consider the privileged space and filtering the information obtained through the different artistic experiences of the involved members: the multifaceted path of the Anthèa Choir, directed by Quinto Canali, which crosses the different genres of the coral tradition starting from the Gregorian Chant to the Contemporary field; the classical and contemporary background of Mauro Tonolli, guitar player, and Chiara Cescatti, flute player; the electroacoustic side of Giampaolo Campus and Sergio Camedda, already involved in Difondo’s project, and, last but not the least, the stage contribution by the writer StefanoCòmper, by the sound poetry performers Franco Farina and Francesca Velardita and by the crystal bowls player Massimiliano Peri. So, the ecologic dimension comes to be relevant with the strict link to the peculiarities of the local territory and, in a close relation to the etymological sense of the Greek word (oikos = house and logos=study), to the music proposed by the collective where all the sounds belonging to the space or the considered theme can give elements of artistic representation. From a social point of view, this can allow to reflect about the relationships among individual, community and the environment which embrace them.